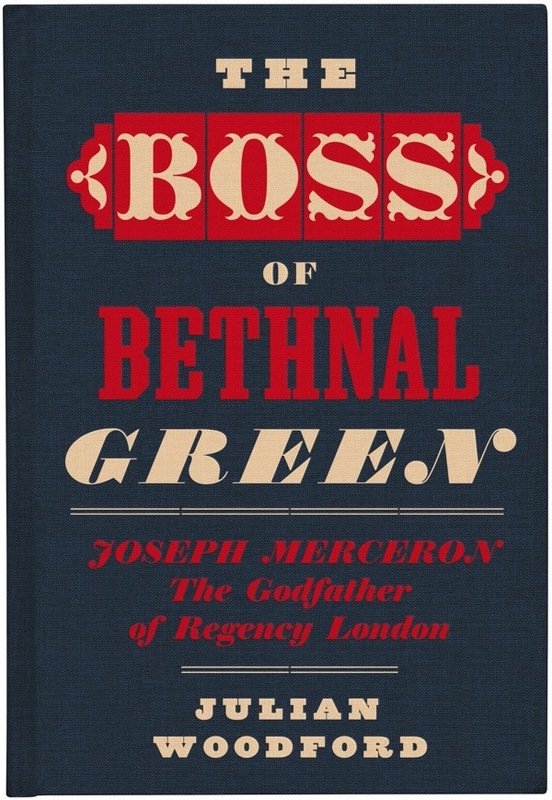 Julian Woodford outlines the tale of James Hadfield, mysterious would-be assassin of George III, revealing how his pistol found its way into the hands of Joseph Merceron, East End gangster & corrupt magistrate, known as The Boss of Bethnal Green – and where it is today. When I talk about how Joseph Merceron ruled the East End for half a century, I am often asked ‘How did he get away with it?’ It is a question I could not answer until I discovered that he owned a gun which almost changed English history. In 1795, Merceron used his position of influence in Bethnal Green to become a magistrate. Just weeks afterwards, King George III’s carriage windows were shattered by an angry mob as he travelled to open Parliament and Prime Minister William Pitt the Younger launched a ‘reign of terror’ with laws forbidding public assembly or publication of ‘seditious writings.’ Secretly, the Home Office also set up an extensive spy network in the East End administered by the local magistrates and their clerks. During the early seventeen-nineties, in the wake of the French Revolution, radical societies sprang up across London – especially in the East End. Their members agitated for universal suffrage or, in more extreme, cases a revolution of their own. Over the next few years, Pitt’s ‘Gagging Acts’ were applied with increasing severity and the Home Office spies busied themselves in infiltrating radical societies. Democratic activists and mutineering sailors were rounded up and incarcerated without trial at Coldbath Fields Prison in Clerkenwell. The ritual abuse they suffered at the hands of the Prison Governor, Thomas Aris, was ignored or even encouraged by Merceron and his fellow magistrates. But when the prisoners’ plight was raised in Parliament by the radical MP Sir Francis Burdett, it became the subject of a national scandal that rocked the Pitt government and damaged the credibility of the Middlesex magistrates. Then, in the spring of 1800, came an act of terror that appeared to justify Pitt’s harsh conservatism. James Hadfield was a British soldier who had suffered horrendous head wounds in the Napoleonic Wars, and been captured and tortured by the French. Released in a prisoner exchange but traumatised to the point of insanity and unfit for further service, Hadfield was simply turned onto the London streets. Here he encountered an itinerant preacher named Bannister Truelock, who persuaded Hadfield he could trigger the Second Coming of Christ – he just needed to shoot the King and die in the attempt. 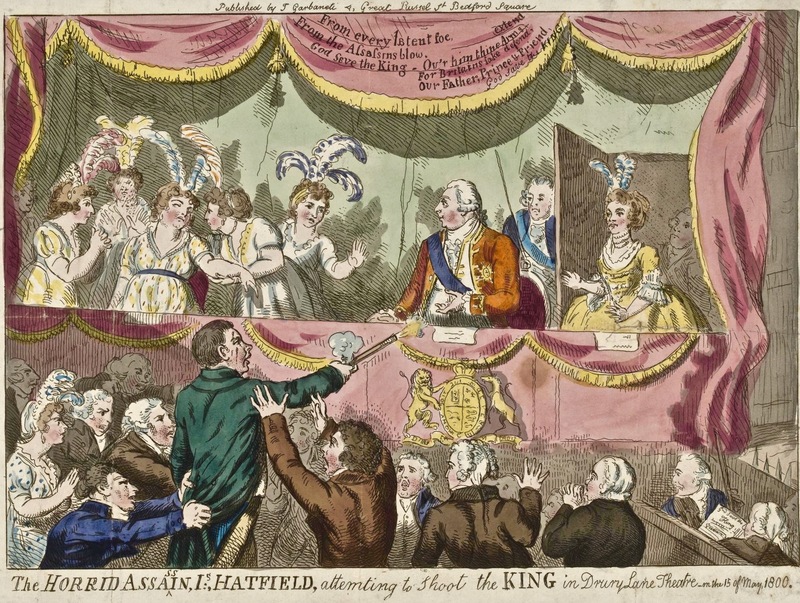 On 15th May 1800, Hadfield bought an old flintlock pistol from a pawnbroker and made his way to Drury Lane Theatre, where George III was due to attend a Royal Command Performance. As the King took a bow from the Royal Box, Hadfield pulled out his pistol and fired, narrowly missing his Majesty. Despite a lengthy investigation and an apparemt attempt by the government to rig the jury, Hadfield was acquitted of murder on the grounds of insanity, setting an important legal precedent. Instead of being executed, he was committed to the Bethlehem hospital in Moorfields where he spent the next forty-one years writing poems to his pet squirrels. You might wonder what the connection is to The Boss of Bethnal Green? In 2006, when I started researching my book, I traced Joseph Merceron’s descendants and met his great-great-great grandson Daniel, who showed me an ancient tin box full of Merceron’s papers. 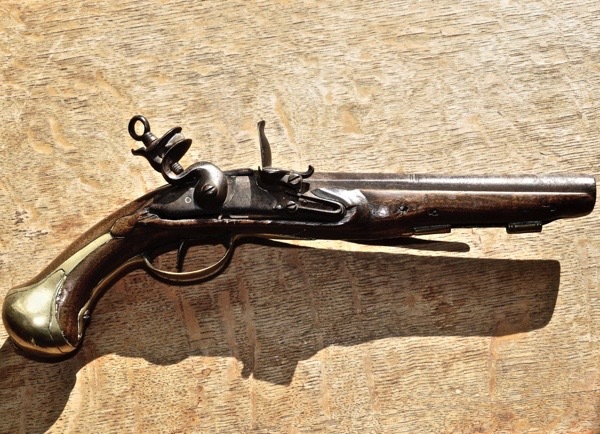 This was enough to make my journey worthwhile, but I was dumbstruck when Daniel walked back into the room brandishing an old flintlock pistol and casually announced that – according to family lore – it had once belonged to The Boss and was used in an assassination attempt on George III at Drury Lane in 1800. That was all Daniel knew and, although I remembered James Hadfield’s story, I could not think how Joseph Merceron could possibly have been involved. Just an hour’s research on the internet uncovered the answer. The transcript of Hadfield’s trial revealed the key prosecution witness was Major Wright, a solicitor of Wellclose Sq and clerk to the Tower Hamlets magistrates. He was a significant figure in Merceron’s circle and closely linked to the Home Office spy network. At Drury Lane, the Major had been sitting within arm’s reach of Hadfield and collared him with his weapon after the event. Among the trial papers are letters from Home Office spies claiming that Hadfield and Truelock were members of the London Corresponding Society which had infiltrated army regiments, including Hadfield’s 15th Light Dragoons. Remarkably, Major Wright was allowed to keep the pistol as a souvenir. Yet his will lists a print of the assassination attempt among his effects not the gun, which had given to his master – Joseph Merceron. Based on the evidence, I believe Major Wright was secretly tailing James Hadfield on behalf of the Home Office, but it did not suit the government to blow his cover at Hadfield’s trial. This anecdote offers the explanation for the astonishing longevity of Joseph Merceron’s career as the Godfather of Regency London. Despite being responsible for appalling corruption on a vast scale, he was the devil-the-government-knew, manning the front line in the East End for William Pitt’s ‘war on sedition.’ Merceron owned and licensed many of the pubs where the radical societies met. Merceron’s clerks were actively involved in running spies and, despite repeated attempts to prosecute him during his first three decades in power, the government repeatedly refused to do so and it was only in 1818 – well after the end of the Napoleonic Wars – that he was finally brought to trial and jailed briefly. Just finished watching the old TV series, Callan and wondering how much of this went on. Thank you. Fascinating account and one that is all too real. Wow! Spectacular story, told with flair. Are those poems extant? I’m sure they would be interesting reading.